The Congressional Budget Office released the findings of a study on President Obama’s proposal to raise the minimum wage to $10.10/hour by 2016 from a current level of $7.25/hour. The study found that the proposal could lead to the loss of about 500,000 jobs as some businesses would likely need to cut staff. However, the study also said that the plan would increase the pay of 16.5 million people and potentially lift 900,000 people out of poverty. A total of 45 million people are projected to be categorized as poor in 2016. The Bank of Japan surprised markets by expanding lending facilities that are designed to spur corporate investment by offering low interest loans to commercial banks in the hope that they will lend the money to businesses. 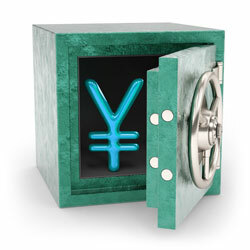 The Japanese central bank also decided to maintain its asset purchasing program of ¥60-70 trillion per year. The decisions come after 4th quarter GDP data show growth of 0.3% which was much less than expected. Progress toward approval of the Keystone XL pipeline hit a snag this week after a Nebraska judge overruled a law that had allowed the state’s Governor Dave Heineman to approve the building of the pipeline through the state. As a result of the ruling, the decision now rests with the Public Service Commission. Stock markets rose slightly this week as the S&P 500 ended up 0.35%, closing at 1,836 and the Dow Jones rose by 0.47%, closing at 16,103. So far in 2014, the S&P and Dow have declined 0.66% and 2.86%, respectively. Treasury yields rose slightly in the week with the 5 year and 10 year U. S. Treasury Notes yielding 1.53% and 2.73%, respectively. The spot price of WTI Crude Oil increased this week by 2.1%, closing at $102.23 per barrel. Year to date, Oil prices rose 3.85%. The spot price of Gold increased moderately this week, gaining 0.42% and closing at $1,323.97 per ounce. Year to date, Gold prices are up 10.18%. Initial jobless claims fell by 3,000 from last week, coming in at 336,000 vs. consensus estimates of 335,000. The four week moving average for claims rose to 338,500. The Labor Department noted that there were no special factors affecting last week’s claims. Housing starts declined 16.0% in January vs. consensus estimates of a decline of 4.9%. Adverse weather conditions played a significant role in the drop off, as the Midwest region saw housing starts fall to their lowest level in the 55 year history of the economic series. The proportion of workers who voluntarily left their jobs, known as the “quit rate”, rose to a post-recession high of 1.8% in November. That compares with a low of 1.2% in September 2009, but is still well under the average of 2.1% seen from 2000-2006. Many economists, including new Fed Chief Janet Yellen, view the quit rate rising as a positive indicator of the state of the labor market as they believe that people resign from their jobs either because they have a new one or are confident of finding another position. Both the House and Senate passed through a one year extension of the U.S. debt ceiling that will extend the government’s borrowing authority until March 16, 2015. The measure was passed without any additional conditions, although there had been plans by the Republicans to link a debt ceiling extension to restoring cuts to military pensions. The legislation is now due to be sent to President Obama for his approval. The government has announced yet another delay to an important part of Obamacare, saying that businesses with between 50 to 99 full-time workers won’t be mandated to provide health insurance to their workers until 2016. Larger companies will have to cover at least 70% of employees by 2015 and 95% by 2016. The original plan was for companies to offer coverage this year, but in July, that was delayed until 2015. According to a Wall Street Journal study, there are around 4.8 million people aged 18-64 that get no government help to buy medical insurance because they earn too little to qualify for federal subsidies. However, they earn too much to receive benefits under state programs. The gap is the result of 24 states (Illinois is not one of them) deciding not to expand Medicaid coverage under the Affordable Care Act. Some states are revisiting their policies in order to cover the gap. New Fed Chair Janet Yellen, had her first congressional testimony in her new position this week and reiterated the Central Bank’s pledge to retain super easy monetary policies and reiterated that any action the Fed will take is data dependent. The Fed will have their next policy meeting in March, so there will be plenty of economic data, including another jobs report, which will be released before a decision needs to be made on continuing the path of tapering asset purchases. Stock markets climbed higher this week as the S&P 500 ended up 2.38%, closing at 1,839 and the Dow Jones rose by 2.45%, closing at 16,154. So far in 2014, the S&P and Dow are down 0.53% and 2.55% respectively. Treasury yields started to rise again this week with the 5 year and 10 year treasury now yielding 1.53% and 2.75% respectively. The spot price of WTI Crude Oil increased this week by 0.45%, closing at $100.33 per barrel. Oil prices are now up 1.81% in 2014. The spot price of Gold rallied again this week, gaining 4.06% and closing at $1,318.69 per ounce. Year to date, Gold prices are up 9.74%. Initial jobless claims rose by 8,000 from last week, coming in at 339,000 vs. consensus estimates of 330,000. The four week moving average for claims rose to 336,750. The Labor Department noted that there were no special factors affecting last week’s claims. January retail sales were a significant disappointment, declining by 0.4% vs. expectations that they would be flat for the month. Adverse weather conditions certainly played a role, with weakness seen at department stores as well as restaurants and bars. However, non-weather sensitive categories, such as online sales, also showed weakness and declined 0.6% for the month. The total number of listed stocks on public exchanges reached an all-time high of 8,823 in 1997. At the end of 2013, this number had fallen to a mere 5,008 companies, a 43% decline in the number of listings. The bursting of the Tech Bubble from 2000-2002, increased costs associated with being a public company after the Sarbanes-Oxley Act was passed and the rapid rise of the private equity industry are likely some factors reducing the number of listings. This phenomenon, combined with the decline in shares outstanding of companies that have remained public (through share buybacks), have contributed to reduce the total investment options available in the market and may be a significant factor in the rapid rise in stock prices since 2009. The suspension of the U.S. debt limit ended this week, leaving the Treasury a couple week window in which they can take measures to avoid a default. In the past, the debate over the debt ceiling has been extremely contentious, but at this time there seems to be little stomach for a new fight, so it is expected that Congress will increase the cap without too much theatrics. 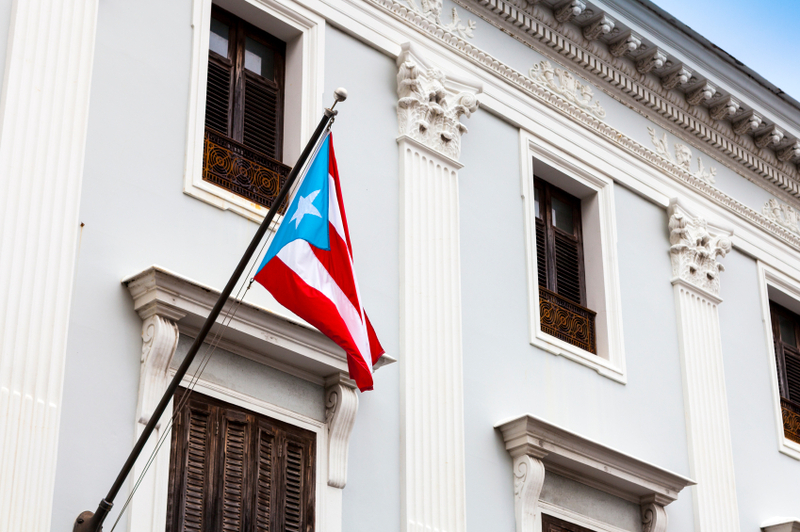 Rating agency S&P has cut Puerto Rico’s credit rating to BB+, or junk status, and maintained a negative outlook for the debt-laden commonwealth. They cited a reduced capacity to access to capital to fund its operating deficit as a reason for the negative outlook. Moody’s and Fitch, other rating agencies, are also contemplating dropping Puerto Rico to junk status as well. A bipartisan group of Senate and House members has stepped up pressure on the White House to approve the controversial Keystone XL oil pipeline that would extend from Canada to the Gulf Coast. This follows an extensive State Department report filed last week that found that the proposed pipeline would have little to no negative environmental impact, which has been one of the primary concerns holding up approval. Stock markets climbed higher this week as the S&P 500 ended up 0.90%, closing at 1,797 and the Dow Jones rose by 0.69%, closing at 15,794. So far in 2014, the S&P and Dow are down 2.78% and 4.72% respectively. Treasury yields were largely flat this week with the 5 year and 10 year treasury now yielding 1.47% and 2.68% respectively. The spot price of WTI Crude Oil increased this week by 2.64%, closing at $100.06 per barrel. Oil prices are now up 1.53% in 2014. The spot price of Gold rose again this week, gaining 1.82% and closing at $1,267.17 per ounce. Year to date, Gold prices are up 5.45%. Initial jobless claims fell 17,000 from last week, coming in at 331,000 vs. consensus estimates of 335,000. The four week moving average for claims rose to 334,000. The Labor Department noted that there were no special factors affecting last week’s claims. The January employment report contained a confusing set of data, as payroll job growth significantly disappointed, but the unemployment rate fell by one tenth. Nonfarm payrolls rose by 113,000 vs. expectations of 180,000. Weather surprisingly didn’t appear to play too much of a role in this month’s numbers. The unemployment rate fell 0.1% to 6.6%. Labor force participation rate actually rose by 0.2% to 63.0% despite the expiration of Emergency Unemployment Compensation benefits which many believed would lead some unemployed workers to stop reporting that they were actively seeking employment. The ISM manufacturing index was much weaker than expected in January with a reading of 51.3 vs. expectations of 56.0 and was a fall from 56.5 in December. Comments from several of the survey respondents pointed to poor weather as a reason for the weakness in January. According to a Wall Street Journal report, 1 in 6 men in their prime working years of 25-54 don’t have jobs. The proportion is around 17%, or 10 million people, which compares with 6% in the early 70’s and 13% in 2007. Reasons cited by economists include the slow recovery from the recession and that many people are unable to keep up with the way that technology and globalization are changing the labor market. In Ben Bernanke’s final Fed meeting as Chairman, the committee announced an additional $10 billion per month reduction in the pace of its asset purchases, bringing monthly purchases to $65 billion from $75 billion. The cutback will be split evenly between Treasury and Mortgage Backed Security purchases. If the Fed continues this pace of tapering under new head Janet Yellen, the Committee is on track to end its purchases in October. 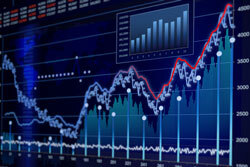 Stock markets fell slightly this week as the S&P 500 ended the week down 0.43%, closing at 1,783 and the Dow Jones decreased by 1.13%, closing at 15,699. So far in 2014, the S&P and Dow are down 3.56% and 5.30% respectively. Treasury yields tumbled once again this week. The 5 year and 10 year treasury now yielding 1.50% and 2.65% respectively. The spot price of WTI Crude Oil increased slightly this week by 0.86%, closing at $97.47 per barrel. Oil prices are down 1.10% in 2014. The spot price of Gold fell this week, losing 2.07% and closing at $1,243.83 per ounce. Year to date, Gold prices are up 3.51%. Initial jobless claims rose 22,000 from last week, coming in at 348,000 vs. consensus estimates of 330,000. The four week moving average for claims rose to 333,000. The Labor Department noted that there was nothing unusual in the data this week as we exit the holiday season. Pending home sales dropped 8.7% in December vs. expectations of a loss of only 0.3%. This is the largest one month decline in pending home sales since the expiration of the first-time homebuyer tax credit in 2010. Declines were seen broadly across geographic region, suggesting that the unusually cold weather was not the primary driver for the drop. The Case-Schiller home price index rose 0.9% in November vs. expectations of a 0.8% increase. This report contrasts the FHFA house price index report from earlier this month that showed a disappointing 0.1% gain in prices for November. Over the last 12 months of data, the Case-Schiller index rose 13.7%. Medicare is in its 50th year of existence, having begun in 1965. The age of eligibility for Medicare was set at 65 when first established and remains at that age today despite the fact that average life expectancy has increased by 8.4 years during that time frame.